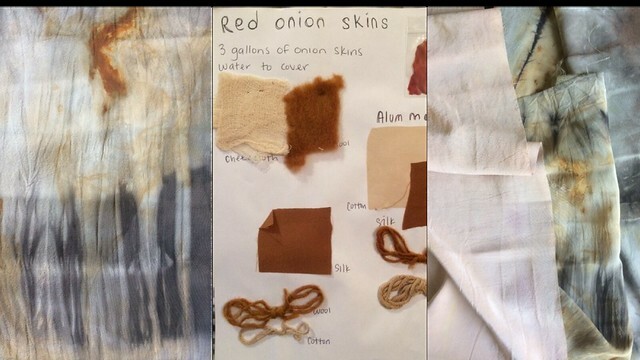 experiment with silk, wool, and cotton fabrics and a variety of mordants (chemical additives) to extend the range of colors produced by a dye bath. You'll leave with the recipes and samples from class to start your own dye journal plus the knowledge you need to inexpensively and safely experiment with natural dyes at home. Elliot McNally is a special collections librarian with a background in fiber arts. For the last 10 years, she has taught bookbinding and dyeing workshops with a focus on local, ethical, and sustainable practices in Savannah, Pittsburgh, Buffalo, and Atlanta. Required Supplies: Apron. Notebook/3-ring binder (optional). If you have trouble registering or paying (Safari users!) or if you are concerned that this website does not have an https address, please use the following direct link for registration and payment: https://sefaa.secure.force.com/Programs/CnP_PaaS_EVT__ExternalRegistrationPage?event_id=a0u0V00000ZXhHdQAL. The Homestead Atlanta Members - When you register, enter your Member Discount Code in the field to the left of "Discount" and then click "Apply Discount" to automatically save $9. Sorry, this class is sold out and registration for it is closed. But, there is a second session of this class on July 28th which is now open for registration.